Canadian media theorist Marshall McLuhan is infamous for his declaration that the medium is the message. “What you print is nothing in comparison to the effect of the printed word,” the public intellectual said. This applies to all media – be it print, TV, radio, online and beyond. If you have a desire to communicate your message through the media, there is a lot that can be learned from the works of McLuhan – in particular, from his theories around “hot” and “cool” media. Media classified as “hot” are those that require a lower level of audience participation as they command the audience’s full attention, such as radio, magazines and newspapers. TV, on the other hand, is a cool medium as “little information is given and so much has to be filled in by the listener.” Watching TV is also usually punctuated by distractions, with which the medium has to compete. Nowadays, social media would no doubt be a “cool” media as we are fed information in snippets, amidst a backdrop of continuously new tweets, posts, etc., where more effort is required to get the full picture. That being said, the way in which you deliver your message needs to be altered for the various mediums. If you’re being interviewed for the medium of TV, you’ll want to keep your answers relatively concise and punchy. But when being interviewed for a magazine article, going more in depth may be welcome as explanation is the currency of magazine writing. Of course, if the medium is the message, know that reaching your target audience will also be a fruit of selecting the right medium. 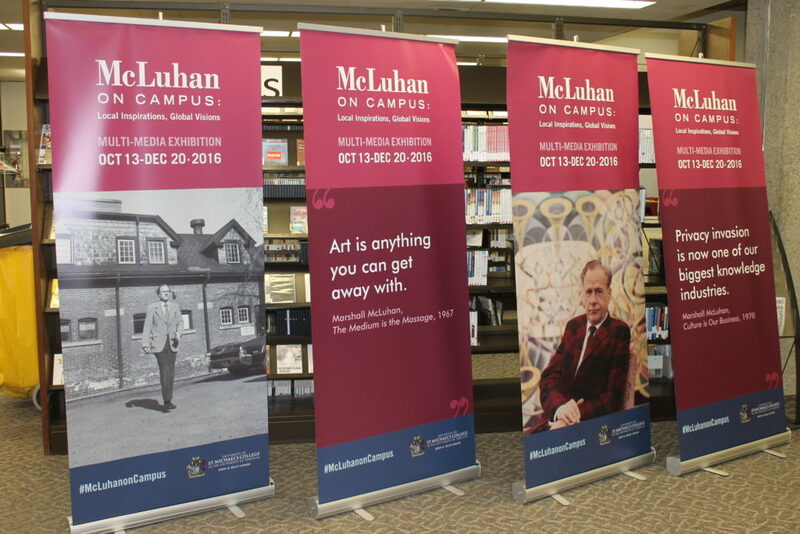 We had the pleasure of recently visiting a multimedia exhibition on McLuhan’s works at our client University of St. Michael’s College, McLuhan on Campus: Local Inspirations, Global Visions. If you’re in the Toronto area, the exhibit is running until Dec. 20.